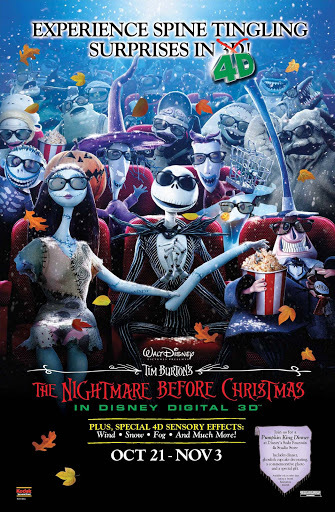 I'm so excited,The Nightmare Before Christmas is coming to El Capitan Theatre again and this year we're taking JD. This is JD's favorite movie and it's actually going to be in 4D this year, which means they've added sensory effects like, wind, snow and fog! Get your tickets early, I'm pretty sure they will sell out!